What is Voice over Internet Protocol or VoIP? In simple terms, VoIP or Voice over Internet Protocol means delivering your voice or audio communication through internet to the receiver's end. The VoIP technology converts your voice communication into digital signals or data and the same is communicated using the Internet Protocol. This technology enables the user to make calls over telephone with the availability of a high-speed Internet connection. Because of this technology, the traditional analog telephony is slowly becoming extinct in countries like U.S.A. and Europe. The VoIP technology is also known by names like Broadband Phone, IP Telephony, IP Communication, Internet Telephony, Broadband Telephony and VoBB or Voice over Broadband. Using this VoIP technology, you can avail the facilities like voice telephony, SMS, other voice services like voice mail etc. Though this technology is considered different from the conventional ones we are using now, you may still need proper phone equipment for making / receiving telephone calls. In addition to the above, you will have an accessory like an adaptor to make connections between the telephone and Internet connecting point in your home. If the telephone is connected to the Internet through the accessory, then you are ready to make calls through VoIP or Internet telephony. There are many ways by which you can make VoIP calls viz., the regular ones connected through accessories, through tablet / smartphone connected with Internet, specific applications like Skype provided by the VoIP phone service providers and / or through your conventional desktop / Laptop having audio transmission / receipt arrangements like microphones and speakers. This awesome technology is slowly but surely taking over the conventional analog telephones and is becoming most popular and reliable one in many countries across the globe. Small businesses and many consumers have started to vote for this technology because of many advantages and less troubles. The Voice over Internet Protocol Phone service has got many advantages over the traditional telephone system and the chief one being the cost involved in making calls or exchanging data. With cheaper international and long distance calling rates and comparatively low monthly plans, the VoIP Phone Services definitely scores over the conventional analog telephone system. 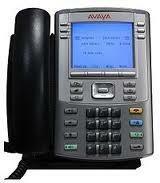 Also there are umpteen other benefits related with Internet telephony which may cost more in conventional telephony. For VoIP phone services, the setup cost almost matches with the regular analog telephone connection. Most of the VoIP Phone service providers offer free packages between their own service users. Also there are different plans in VoIP Phone services whereby a user can call other users [usually more than one] for free. Internet Telephony reduces the infrastructure and communication costs. There is no requirement for separate networks and you can use the existing Internet network for VoIP. Secured data exchange is possible with proper encryption and authentication. Through Internet connectivity, you can transmit more telephone calls through single Broadband connection. Here come the disadvantages of VoIP Phone services. In the event of any power disruption, the VoIP phone connectivity may fail, if the standby or safety parameters fail. The accessories to connect the Internet telephony works mainly with the locally available power and the same can also cause failure in case of power cut. This service routed to any other analog or mobile network may fail, if the respective service providers are not receptive for the same. Since the VoIP Phone Services can only be traced using their IP locations, it is vulnerable in cases of emergency or terrorism linked activities. Also, this technology may spell disaster to the conventional systems in due course, once the parameters are improved to provide safeguards. How to select a VoIP Phone service? Support and Help: VoIP being a new technology, you may need a great help and support team from the Phone service provider. Support from all corners like email, telephone and live help or support is considered a must. The service provider should also provide some good literature about the VoIP phone services provided by them. Features: The VoIP service provider shall provide features like conference calls, caller ID, voicemail etc. as per the requirements of any particular service plan. Other features like e911, call transfer, 411 directory assistance are also preferable. The service viz., e911 enables the responder to locate the user geographically, in case unusual emergencies. Installation: The installation of VoIP Phone should be very easy one and proper installation manual should accompany the instrument package. There should not be any complex instructions while the user tries to install the VoIP instrument either with the accessories or with Internet connectivity. Plans & concessions: Finally, it the Plans and concessions connected with your VoIP Phone plans that matters a customer. The plan may be depending upon factors like number of calls, geographical locations, time of call, duration of call etc. The service provider should provide comprehensive plans to cater all types of customers in their location. The plans should commensurate and compatible with the other service providers of the same region. If there is scope for Number Portability or NP, those plans should include the same. There should be distinction among the business customers and other small customers according to plans. Additional features like additional lines, fax, toll free number etc. should also be available depending upon the needs of customers. Hope, in this article, I have narrated very clearly about VoIP Phone services and other information related with it. However, so far, this VoIP technology is still to integrate the world into one because of non availability of various resources related with it in some parts of the world. Sooner or later, we can expect the VoIP telephony to take the world into its fold and along with it we too can expect many astounding services from VoIP service providers.